If you're looking for a seriously fun gift for guys, this might just be it! 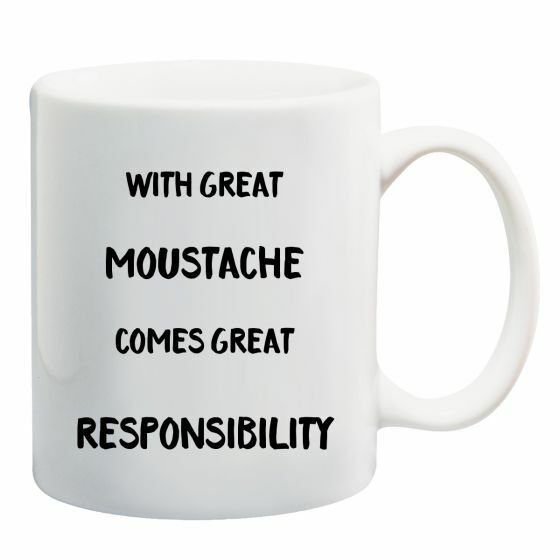 The Great Moustache Mug rocks a bright red moustache at the back with the saying "With Great Moustache Comes Great Responsibility" on the front. Tag a name and hey presto! Your mighty gift is made for a mighty fine guy. Have your mug beautifully personalised with printing! Please allow 3 working days for your item to be ready from the day you order. Then allow the delivery time required based on the courier service chosen.